Myths, Symbols and Mysteries: Krishna worship and Ratha Yatra Festival in Ancient Egypt? Now, if anyone ever travels to India, and he talks to the people there about a god having a blue skin colour, with a couple of feathers in his headdress, and from whose sandals or toes a sacred river emerges, he will get a single answer: Vishnu, or more likely Krishna, for it is Krishna who was always depicted with two peacock feathers in his headdress. This realization has significant implications. Krishna is an exclusively Indian diety, whose demise in 3102 BC signified the start of the present Kali Yuga in the Vedic Yuga system. Amun on the other hand, was not worshipped in Egypt prior to the beginning of the New Kingdom in c.1550 BC. He is mentioned in the creation myth of Hermopolis as one of the four pairs of divinities who were present in the Primeval Waters of Nun. As Amun-Amaunet, he represented the “hidden” properties of the Primordial Ocean. An early Twelfth-Dynasty inscription in the jubilee chapel of King Senusret I (c.1965 – c.1920 BC) at Karnak describes Amun as the “king of the gods”. While he was known to the Egyptians, he was not a part of the Egyptian Ennead, the Divine Company of Gods, who were the primary deities of worship. But suddenly at Karnak, at the beginning of the New Kingdom in c.1550 BC, Amun usurped the position of Atum, as the head of the state patheon. He became the self-engendered Creator God. Evidence indicates that the construction of the temple complex at Luxor and Karnak may have started as early as the Middle Kingdom (c.2055 – c.1650 BC), although the buildings visible today date from the reign of Amenhotep III (c.1390 – c.1352 BC), the great temple builder of the Eighteenth Dynasty. What could have trigerred his precipitous rise to the head of the Egyptian pantheon from relative obscurity as a diety of the Primeval Ocean? How did a whole new patheon of deities, along with associated symbolisms, rites and rituals suddenly spring up in Egypt during the New Kingdom? 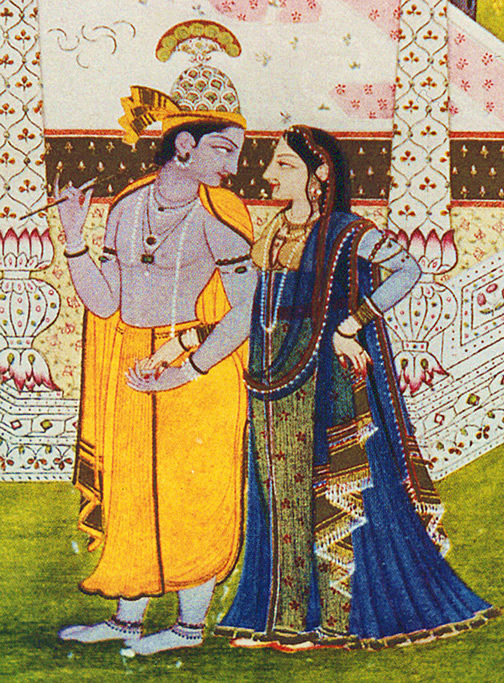 Fig 2: Krishna with Radha, 18th century Rajasthani painting. I was also taken aback by the descriptions of the annual Opet festival that used to be celebrated in Karnak, during the season of the flooding of the Nile. In this grand festival, the idols of the Theban triad of divinities - Amun, Mut and Khonsu - were placed on sacred barques (boats), which were carried in a splendid, joyous procession down the Avenue of the Sphinxes, along the 2 mile road that connects the temples of Karnak and Luxor. The celebrations have been depicted in detail on the walls of the Great Colonnade at Luxor. At Karnak, the idols of the Thebian triad were first ceremoniously washed and magnificently dressed with colorful linen and precious jewellery and placed on sacred barques. 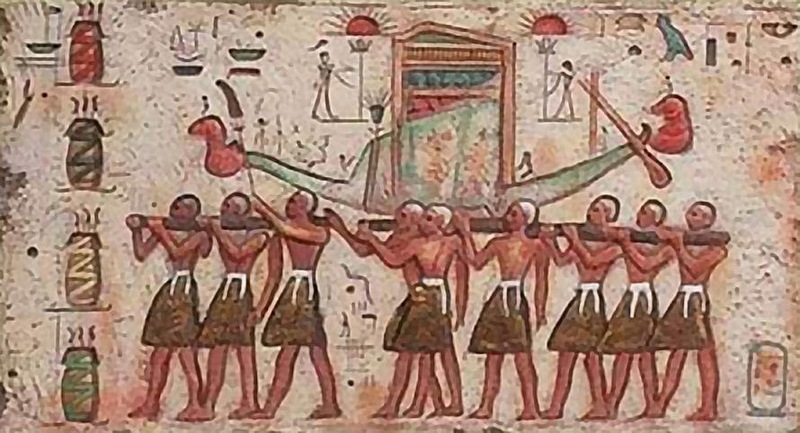 The pharaoh then offered his obeisance to each of the barques. The barques were then carried by the priests on their shoulders, accompanied by musicians, and soldiers carrying standards decorated with brilliant plumes and streamers. Elegantly decorated horse drawn chariots would also accompany the procession. Huge crowds of people gathered along the road, blowing trumpets, dancing and singing, clapping, offering prayers, burning incense sticks and generally raising a tremendous din. Nubian musicians and female acrobats entertained the crowd. The barques rested along the way at six way-stations that were built by Queen Hatshepsut. Once the idols reached Luxor Temple, the coronation rites of the king were repeated in a sacred ritual, which effectively transferred the power of divine rulership from Amun to the pharaoh. The idols rested in Luxor for a period of time and subsequently came back to Karnak, in another procession along the river Nile. Although the Opet festival was initially celebrated over only 11 days, later it was extended to nearly 24 to 27 days. The festival not only symbolized a restoration of the divine right of the king to rule, but also signified a rejuvenation of the creative forces of the cosmos, through the sacred rituals and boisterous celebrations. Amazingly enough, an exactly similar festival is still celebrated every year in the coastal town of Puri, in the state of Orissa in eastern India, after the onset of monsoon in the month of July. Here, in the yearly Ratha Yatra festival, the idols of Krishna (or Jagannath), his brother Balaram and his sister Subhadra are carried in three magnificent chariots pulled by thousands of devotees along the 2 km (1.5 mile) road that connects the Jagannath Temple to the Gundicha Temple. I had the good fortune of being able to witness this grand spectacle in the year 2010. An immense collection of humanity had descended on Puri on this day from all over India. The actual festival, of course, had started nearly two weeks earlier when the idols of Krishna, Balaram and Subhadra were given a ritual bath and redecorated. 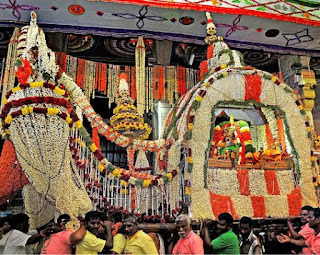 On the day of the Ratha Yatra, the idols were installed on the three massive chariots, nearly 45 feet high, which had been constructed for the three deities. The chariots were kept outside the Jagannath Temple walls, and the endless stream of devotees blew conch-shells and played trumpets as soon as the idols were brought out of the temple on decorated palanquins and placed on their respective chariots. Then the King of Puri paid his obeisance to each of the chariots. He sprinkled sacred water on the chariots, and swept the chariots clean with his golden broom. The chariots then started making their way along the Grand Avenue one by one, pulled by ropes by the thousands of devotees. Needless to say, a considerable din ensured. There was loud chanting and singing, beating of drums and blaring of trumpets, as the procession slowly made its way to the Gundicha Temple. The chariots stopped at many points along the way, in order to provide an opportunity to the devotees to catch a glimpse of the idols inside the chariot and offer their prayers. It is said that one who observes the face of Jagannath during the Ratha Yatra festival gets absolved of all past sins. I did not accompany the procession the entire way to the Gundicha Temple. But what happens is that, after the procession reaches the Gundicha Temple, the idols rest there for a period of 7 days. After this they return back to the Temple of Jagannath, in another joyous, noisy procession known as the Ulta-Rath. The entire celebration, starting from day of Jagannath’s bathing ceremony, till his return from the Gundicha Temple, lasts for 25-26 days, nearly the same as the Opet festival of Karnak and Luxor. The similarities between these two ancient festivals are obvious and striking. There can be no doubt that the Opet festival of Karnak is identical in form and spirit to the Ratha Yatra festival of Puri. 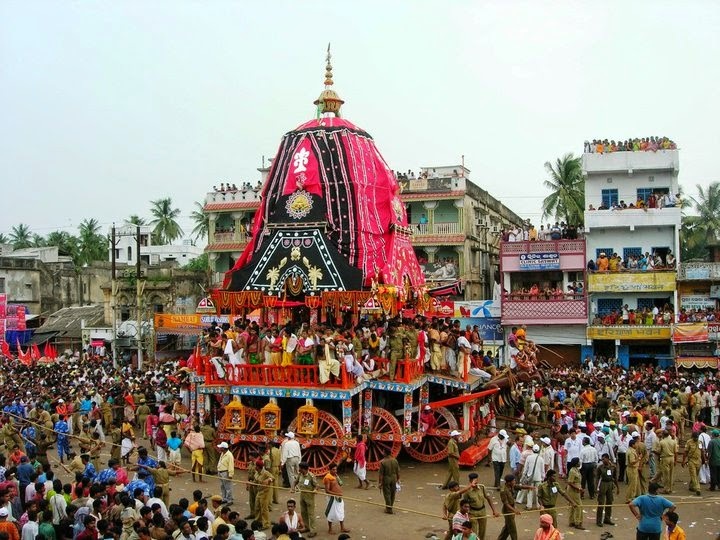 Although in the Jagannath Ratha Yatra, the idols are carried in large chariots, as opposed to the barques used in the Opet Festival, we should remember that the idols are brought out of the temple on decorated palanquins carried on the shoulders of the temple priests, before they are mounted on their respective chariots. During the annual Dol Yatra the utsav murti of Jagannath is carried around the city on a decorated palanquin accompanied by musical troupes. All across India, during specific festivals, there is a continuing tradition of placing the utsav murti (i.e. the idols used during festivals) of the presiding deity of the temple on a decorated palanquin, and carrying it around the town in a joyous procession. Now, the worship of the Theban triad of divinities – Amun, Mut and Khonsu – was established at Thebes only at the beginning of the New Kingdom in c.1550 BC. On the other hand, the festival of Ratha Yatra has been celebrated in India for thousands of years, although the current Temple of Jagannath only dates from the 12th century AD. The festival has been mentioned in multiple Puranas, which are historical documents of unknown antiquity. The Skanda Purana states that the first Jagannath Temple was established in the Satya Yuga i.e. Golden Age (which could have begun at around 12,600 BC). 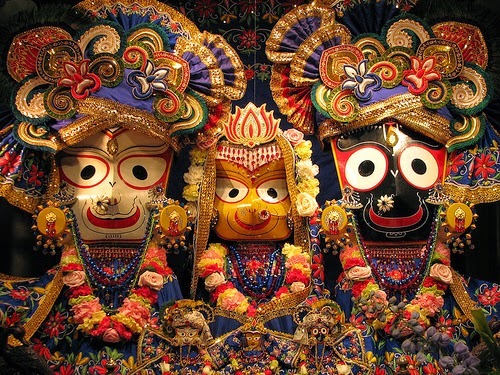 Since Jagannath refers to Vishnu - the Lord of the Universe - he was worshipped in different forms in the different yugas. In the Kali Yuga he is worshipped in the form of Krishna. In many other Sanskrit texts such as the Narada Purana, Padma Purana and the Ramayana, the virtues of worshipping Jagannath have been extolled. That implies that this ancient festival, along with the triad of divinities - Krishna, Balaram and Subhadra – must have been transferred from India to Egypt, sometime prior to 1550 BC. Although we know that Indian traders had trade relations with the first Pharaohs of dynastic Egypt in 3000 BC, and sold them cotton, muslin, spices, gold and ivory, such a major influence of India on Egyptian religious systems has not been explicitly identified till now. Some scholars have, however, pointed out the similarity between the culture of Egypt and India. Peter Von Bohlen, a German Indologist, mentioned that there are elements of folk art, language, place names and rural culture of Bengal (the state adjacent to Orissa and included in it in ancient times) which have an affinity with their Egyptian counterparts. However, when you consider the fact that an entire patheon along with associated ceremonies and rituals seems to have been exported to Egypt from India, it appears that the Pharaohs of Egypt and the Emperors of India must have maintained very close relations since ancient times. This pantheon transfer would have been possible only through express royal patronage. But when and why did this happen? Who all were involved? We know that when the Hyksos invaders of Egypt were finally evicted from the country after 200 years of occupation, the pharaohs Kames and Ahmes had fought under the banner of their new-found god - Amun. This event, which took place in 1550 BC, marked the beginning of the New Kingdom and the 18th dynasty, which is acknowledged as the greatest royal families of Egypt. Amun became the supreme protector god of the monarchy and the state and his priesthood gained immense power. Magnificent temple complexes dedicated to Amun were established in Thebes. Is it possible, therefore, that this pantheon transfer from India to Egypt was also accompanied by a transfer of armed forces which enabled the pharaohs Kames and Ahmes to defeat and drive out the Hyksos invaders and reunify Egypt? These descriptions may be a reference to India. 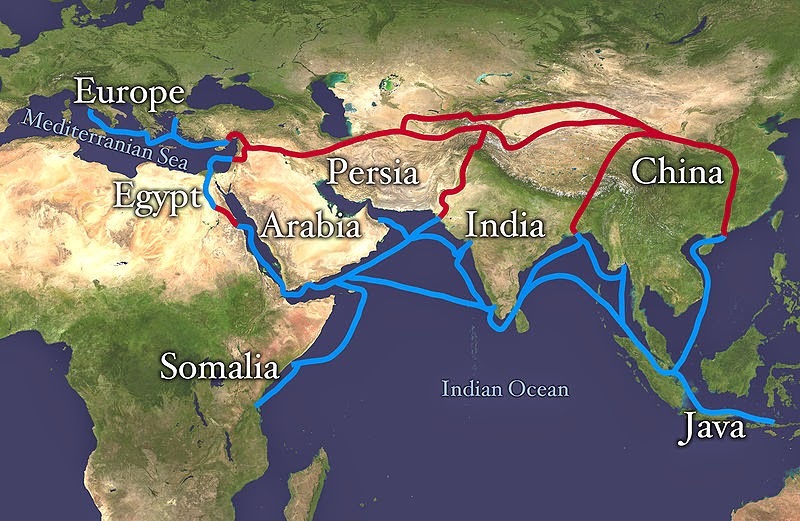 The ancient maritime trade routes, popularly known as the Silk Route, led from Egypt in a south-east direction, to the flourishing ports on the western and eastern coasts of India. Along these ancient routes, Egyptian and Indian ships plied back and forth since unknown antiquity, carrying precious objects of trade such as gold, ivory, myrrh, incense etc. Col. Henry Steel Olcott, a former president of the Theosophical Society, explained in the March, 1881 edition of The Theosophist that, “by the pictorial hieroglyphic inscription found on the walls of the temple of the Queen Haslitop (Hatshepsut) at Der-el-babri, we see that this Punt can be no other than India. For many ages the Egyptians traded with their old homes, and the reference here made by them to the names of the Princes of Punt (King Parahu and Queen Ati) and its fauna and flora, especially the nomenclature of various precious woods to be found but in India, leave us scarcely room for the smallest doubt that the old civilization of Egypt is the direct outcome of that the older India.” The expedition of Hatshepsut to the land of Punt was done primarily with the objective of acquiring incense and a number of exotic goods, which she dedicated to Amun, the presiding diety of Thebes. Does that not indicate that Punt and Amun may somehow be connected? Is it possible that Hatshepsut felt that by bringing these items from the land of her forefathers, and from the place where Amun himself had originated, she would be performing a great service to her “father”, Amun, and thereby acquire his divine blessings. Many questions are raised here. If Punt is India, then when did the ancient Egyptians migrate to the shores of the Nile from Punt? If we assume that the migration took place sometime around 3000 BC, at the beginning of the Kali Yuga, then who built the Giza Pyramids? Evidence indicates that the Sphinx and the Giza Pyramids might be far older than what Egyptologists have been claiming so far. It has been shown by Boston University geologist Dr. Robert Schoch and Egyptologist John Anthony West that the intense weathering of the Sphinx and the Valley Temple due to water erosion could have been possible only if these structures had been exposed to the damp and watery "pluvial" period that accompanied the end of the last Ice Age. The implication of the distinctive "water induced weathering" was that the Sphinx and the Valley Temple must have been constructed before 7000 BC. Schoch's analysis has been broadly corroborated by another geologist, David Coxill, who agrees that the Sphinx has been heavily weathered by rainwater and must therefore have been carved in pre-dynastic times. In addition, Graham Hancock and Robert Bauval have argued (The Message of the Sphinx ) that the relative positions of the three pyramids of the Giza plateau correspond exactly to the relative positions of the three stars of the Orion belt (Alnitak, Alnilam, Mintaka), as they appeared in the skies above Giza at 10,500 BC. In other words, the three pyramids are a terrestrial map of the three stars of Orion's belt. The period from 10,970 BC - 8810 BC was the “astronomical age of Leo” during which time the spring equinox sun rose against the backdrop of the Leo constellation. Therefore, the Sphinx (which has a lion's body) would face directly towards the Leo constellation as the sun rose on the spring equinox during this period. In addition, since this magnificent pyramid complex is entirely devoid of any hieroglyphic engravings or inscriptions, which is very unlike the Egyptian pysche, it raises the question whether the Giza Pyramid complex was built by the ancient Egyptians or by others before them. Is it possible that was it built by a “race of giants” who built similar megalithic structures around the world, including many of them in Mesoamerica? Maybe the arrival of the ancient Egyptians to the shores of the Nile from the distant Punt displaced this ‘race of giants’ and a new civilization was initiated? No one knows what secret knowledge lies embedded within these fantastic tombs and inside the innumerable underground chambers and network of tunnels that exist below the Giza plateau, and what new secrets the future will unfold. Whatever be the truth about ancient Egypt, it is clear that we are barely scratching the surface of it in the present times. Note: I have written a follow-up article to this one titled: "The journey of Jagannath from India to Egypt: The Untold Saga of the Kushites". Very interesting article...thanks for posting! Sir, you are a genius. Please continue your good work and I hope to see more work from you more frequently. Very nicely researched topic! Thanks. I will surely keep researching and writing on similar topics. Thanks for your feedback. Yes, I agree that Punt does not refer to India as a whole but to some specific part of India (possibly on the western coast, although I am not certain about it). Regarding the Mahabharata, it is an amazing text, and there is much to learn from it by everybody. Although Egyptian happenings are noticed around 1500 BC, there are similar reflections in Hellenic civilisation around 400 BC and perhaps earlier. In the early centuries preceding and succeeding the Christian era, the entry of foreign tribes into India produced a favourable impact on the cults of Vaisnvaite and Saivite divinities, which, on the whole, enjoyed the support of the foreigners. The Greeks identified Krsna with Herakles and Sankarsana with Dionysos, and it is no wonder that they were favourably inclined to their worship. The Besnagar inscription describes the Greek ambassador Heliodorus as a Bhagavata who dedicated a Garuda banner to Lord Vasudeva. This is around 100 BC. A little earlier than that Megasthenes is reported to have said "This Herakles is held in especial honour by Sourasenoi, an Indian tribe who possess two large cities Mathora and Cleisobora and through whose country flows a navigable river called Iobares." Herakles has been identified with Vasudeva Krsna and Sourasenoi with the Surasena Yadavas. The people of Marathon worship both those who died in the fighting, calling them 'heroes,' and [a semi-divine being called] 'Marathon,' from whom the country derives its name, but also Heracles . . . . They say also that a man took part in the battle who looked and was dressed like a farmer. He slaughtered many of the Persians with his plowshare, and when everything was over he disappeared. But when the Athenians consulted the oracle, the god would not tell them anything except to honor 'Echetlaeus' [i.e. the man with the plowshare] as a hero." This sounds uncannily close to Balarama, The elder brother to Krishna. the worship of Sankarsana appears to have been quite popular in the fourth century BCE and Megasthenes seems to refer to him. The Greek writer referring to Dionysos clearly states that the Indians speak of three individuals of this name appearing in different ages and they assign suitable achievements to each of these. The oldest of these was Indos, apparently the same as Indra, "who crushed grapes and discovered the use of the properties of wine." He further states that Dionysos also found out the method of growing figs and other fruit trees and taught this knowledge to others whence he was called Lenaios. This may be a corruption of Lingayasas or Lingin, a name for Siva. The third god spoken of in this context is Katapogon; and Megasthenes states that he was so named because it is a custom among Indians to grow their beards with great care. Katapogon is evidently the same as Kapardin, meaning one wearing braided and matted hair. The epithet is usually applied to Siva, but it may have been applied to Sankarsana also since the worshippers of Sankarsana, as we have noted earlier, wore braided (jatila) hair. Thanks for your inputs. I want to point out that Heracles has also been identified with Sankarsana (Balarama), while Dionysus has been identified with Rama by Sir William Hones. In his essay “On the Gods of Greece, Italy and India” (1784), Sir William Jones deems Rama to be the same as the Grecian Dionysos, who is said to have conquered India with an army of satyrs, commanded by Pan; and Rama was also a mighty conqueror, and had an army of large monkeys or satyrs, commanded by Maruty (Hanuman), son of Pavan. Just as Rama was a chakravartin-king, Dionysus was also regarded as a Zagreus i.e.chakra or chakravartin. 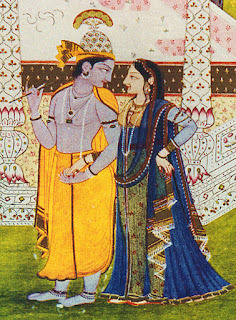 Rama also had braided/matter hair, he took all the arts of civilization - argiculture, music, dance, sculpture etc - to different parts of the world, and according to puranic accounts he was nearly 25 generations before Krishna / Balarama (which is quite close to the 15 generations mentioned in Greek accounts). Heracles was definitely derived from Hari as heracles ruled over methora and Hari(or Krishna) over Mathura.Heracles ruled over Sourasenoi and Krishna over Shurasenas. Also in his childhood heracles had killed a snake which was an attempt by hera to kill him but this incident is definitely inspired from the killing of aghasura by Krishna. According to Colonel Todd, Hercules is derived from Hari-kula-es i.e. es (lord) of the race (kula) of Hari (Hari-kula-es). Both Krishna and Balarama satisfy this description. Also, both of them were rulers of Mathura and belonged to the Shurasena tribe. In fact, Balarama being the elder brother was more likely to have been the official "ruler". In terms of iconography, Hercules is shown with a club and a bowl of wine, and Balarama too is depicted with a mace or plough, and it is known that he was very fond of drinking. From a mythic standpoint, however, the ten labours of Hercules can be associated with both Balarama and Krishna. In my opinion, therefore, Hercules was a representation of Balarama, who had also imbibed certain characteristics of Krishna. Interesting conversation but Id like to mention Krsna and Balaram advented 3000 BC at the start of kali yuga 5000 yrs ago, this fact should be established, as it is essential to avoid previous racist attempts to minimize India's historical significance in the scheme of world events. Its a shame to hear today in our modern world, history being pushed into the square hole created by self interested racist foreigners, Vedic culture was a world wide culture easily over 5000 yrs old, previous attempts to date it as being 400 Bc are ridiculous and a continuing attack on India's and the worlds actual history by racists and religious fanatics. Also If we admit our ability to study the whole material creation is limited due to inability to even detect 90-99% of it,"dark-matter" then we should keep a very open mind instead of referring to mahabharata as "myth". if you can only perceive 1-10% of whats around you, then you have no authority to establish what is and isn't reality, as our puffed up scientists and historians do. Thanks for your observations. It is true that information in the ancient Indian texts have been relegated to the realm of myths by modern historians. It is incumbent upon Indians, themselves, to come up with the correct interpretations and dates based on evidence from different disciplines - archaeology, astronomy, geology etc. Yes may be that has good possibility because at most places and more importantly in the Dasavatar Strota the 10th incarnation of Vishnu is said to be Balaram not Krishna as is common belief.But when Megathenes took the story to Greece, as Krishna is a more prominent character than Balaram he adapted some of his stories as well. Its interesting to know that the Dasavatar Strota mentions Balarama as the 8th avatar. Yes, I think due to Krishna's enormous popularity in India, Balarama has become overshadowed. I want to point out that Megasthenes did not take the story of Krishna-Balarama to Greece. The story had traveled to Greece much earlier. Megasthenes simply recorded his observations when he came to India as an ambassador to the court of Chandragupta Maurya. The most amazing fact about the Rathayatra in Egypt that you mention in your article sir,is the ritual of "Chera panhara".That is definitely strong fact that the festival being celebrated in Egypt is definitely Rathyatra taken from shores of Puri. Thanks for the image links. The overall description of Hercules as a fair-skinned, powerful person carrying a club points to Balarama, and not Krishna (who is generally depicted as blue or dark-skinned, holding a flute or a discus). The Opet festival too is similar to the Rathayatra in many respects. However, I have argued in a separate article (The journey of Jagannath from India to Egypt: The Untold Saga of the Kushites) that the worship of Jagannath was transferred from the Indus Valley to Egypt by the migrating Kushites, after the cataclysmic events in the Indus Valley in c. 1900 BCE. The Kushites also settled in many parts of India, and brought the worship of Jagannath along with them. Interesting article; unfortunately, your analysis is somewhat erroneous. KMT influenced/conquered the region that includes modern day India. Hence, it would seem unorthodox for the conqueror to adopt the religious customs of their inferior captors. Sadly, your analysis fails to address this phenomenon. I am amused by your statements. Can you you please tell me on what historical / archaeological basis you have concluded that Kmt conquered India, or that the civilization of India is inferior to that of Egypt? I am very much interested in knowing your sources, if there are any. In the meantime please take a look at a follow-up article I have written on this topic titled "The journey of Jagannath from India to Egypt: The Untold Saga of the Kushites" where I have provided a wealth of historical and archaeological evidences to show that ancient Kush was colonized by the Kushite tribe which migrated from the Indus Valley to Ethiopia after the Indus Valley collapsed sometime around c.1900 BC, and the worship of Amun was carried into Egypt from Ethiopia. I think that the information in this article will be sufficient to change your misguided notions of history. Without claiming that Egypt civilization conquered India and that India was inferior to Egypt; I am wondering how come Egyptian sculpture of around 2500 BC and pyramids etc looks so much more advanced than anything we see in India or anywhere else at that time. Or am I wrong? They appear so otherworldly and much ahead of the time. Any comment in this respect will be appreciated. Just see this sample. Egyptian sculptures even around 2500 BC looks so perfect and advanced than what we see anywhere else in the world at that time, or in Indus Valley or anywhere in India. I may be wrong though, I am not an expert. Or is it the great flood destroyed these sites globally everywhere? It is true that the Bronze Age sculptures and temples of Egypt are in a better state of preservation than what we find anywhere else in the world. But we cannot take that as an indication that the civilization of Egypt was superior to those that existed elsewhere in that period. Towards the end of the Bronze Age, starting from around 1200 BCE, civilizations all over the world crumbled and collapsed in a heap, leading to a 300 year period of Dark Age, normally referred to as the Greek Dark Ages. In my article on the Yuga Cycle I have correlated it with the transition from the descending to the ascending yuga cycle. As a result, not much material remains have survived from those remote periods. The Indus Valley civilization, for instance, went through two separate periods of collapses - one in c.1900 BCE and the next one in c.1000 BCE. The cities collapsed due to a combination of earthquakes and floods, and were subsequently robbed of their remaining treasures. The present day archaeological sites are being dug up from under 20 feet of mud. Naturally, very little has survived. But, even then, it is evident that the town planning and water management technologies of the Indus cities far surpassed anything else that existed in the world at that period. In addition, material technology alone cannot be taken as the sole indicator of the greatness of a civilization. The depth and richness spiritual philosophy and yogic traditions of the Indus cultures, that has been handed down to us, is of immense importance, and continues to inspire and guide spiritual seekers even to this day. I am not aware of any other Bronze Age culture that has left behind such a rich legacy of philosophy and spiritual literature. Different thought..! "If Punt is India" - I had read a article with the scientific proof that before 2.5 billion bc, there were a big continent called kumarikandam that connected Tamil Nadu, Sri Lanka and more extented.It is belived that Worlds very first human created here, worlds very first language spoken here. And it is Tamil. Because word "Kumari" is a tamil word meaning pure.And after many years this continent have been sunked due to tsunami any some lands got spereted and moved in different location.Its natural change or effects after tsunami. 1% of that continent is called as kanikumari district in India.And it is said that language like hindi,egyptian language,chines are orignated from tamil. My thought is there may be possibility that Punt might get seperated from Kumarikandam where all our ancestors lived before Tsunami. Thanks for sharing your thoughts on Kumari Kandam. There are many theories and dates around Kumari Kandam. From my perspective the most detailed and authentic research on this was done by Graham Hancock in the book "Underworld". So, if you are interested in this topic you can try to get hold of that book. Regarding the dates, according to Tamil traditions, as reported by N.Mahalingam (Chairman of the International Association of Tamil Studies) Kumari Kandam was inundated in a major eruption of the sea in c.9564 BCE. This is very close to the 9600 BCE date for the submergence of Atlantis, which raises the possibility that Kumari Kandam may have been Atlantis. Kumari Kandam suffered another major inundation at around 6000 BC when it was completely destroyed and all the literary and philosophical works were lost. So, I do not think that Kumari Kandam was a landmass from millions of years ago, or the birthplace of humans / language etc. I think it was a large island kingdom which was inundated a few thousand years ago, and a highly developed civilization flourished there, from where the seeds of culture spread out to different lands. Can Punt be Kumari Kandam? Yes it can, but we need some evidence to make that argument, which is lacking as of now. I have read in some text that Atlantis is Tripura...please look up on this. That sems unlikely to me since the Atlantis described by Plato was an island. I would suggest that the "Kushites" indeed did conquer "Egypt" (Mudriya, Land of the Mudra") and that the conqueror was none other than Kujula Kadphises. King of "Kush/Kushan/Cush." AKA "Yayati" he is the origin of the "Yeti." King of Hindu Kush...Kushan of Kalam/Sumeria and "Cush" of Upper Egypt. Let me first state you have done another remarkable job, well done indeed! First rate research. Now let me, if I may, make a few observations: the first ruler of "Egypt" that called himself a "Pharaoh" was "Akhenaton." So this statement: "...we know that Indian traders had trade relations with the first Pharaohs of dynastic Egypt in 3000 BC..." is not exactly accurate. They were kings, rulers, whatever, but not "Pharaohs." That is something that must be grasped to unravel it all, Bibhu. You mentioned "Amenhotep III" of 1390 BC-1352 BC. I happen to believe the evidence places him much later, however the point to be grasped is this: his mummy ("Thebanmummyproject" website) was found to be in a very ragged state in it's sarcophagus, but the cogent point is there were the remains of two birds buried with him. Curiously, his "Golden Horus" name, a royal title, includes a name you might recognize: "Garude." This is an accepted alternate spelling of Garuda. His "Golden Horus" name...the Hawk. Now, the temple of Soleb...has the inscription of Amenhotep III labeling "The Shasu of YWH" as his "great enemy." His enemy. It is clear that "Shasu" is the sanskrit word "Chasu"...aka "Children." The Children of YWH." And who was the ruler that followed Amenhotep III? Was it really "Akhenaton" or was it Tut? Was Tut the son of Amenhotep III that was murdered (the "X" on his cartouche indicates he was murdered)? I found a very curious image: "Akhenaton" wore a MASK. It is very clearly a mask. And moreover, he called himself "Pharoah." This is a S.E. Asian word, for a "lesser noble" than the king, a "Phra." Curiously...I have located a stone carving at a location in S.E. Asia that is very obviously "Akhenaton." Of this, there is no doubt. His face. Now look carefully again at this character...the Akha Naton. The Akha are linked to the "Karin" and "Min" Hilltribes. The long-necks...and tribes that used indigo to dye their clothes blue. 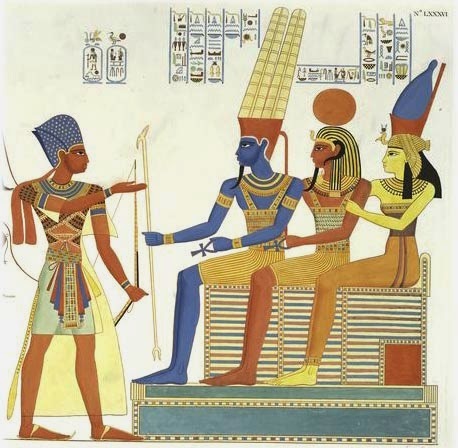 This is the "Blue skin" depicted on these images of "Gods." Go look again at Akhenaton's freakishly long neck...and contemplate the recent article in archaeological websites of the discovery of CHILDREN being used by "Akhenaton" to build his 14 year hideaway in Amarna. Contemplate that "Yuya" the "vizier" of Amenhotep III allegedly was from "AkMin." Aka Min. Contemplate that his mummy shows a freakishly long neck, and that his right eye had been spiked through the forehead, popping it. Contemplate that those Chinese statues found in eastern China, a few with spikes in it's eyes, all wearing MASKS, had one wearing a very long "gown"/dress. Contemplate that I found a national park in S.E. Asia of "3000 B.C. rock drawings" showing the exact same image...of a person they call "Tang." he is "the shadow" of a "puppet" character called Nanta Lung." Lastly, contemplate that the sword found on Tut's chest was tested, and found to be from the "Nantan meteorite" that fell near the Silk Road in the Altai region of China/Russia. However, after I started posting the "curious oddity" of Tut being from "1300's BC" and the Nantan meteorite falling in 1500 AD...the Egyptian Antiquities authorities rushed to get it "retested" and now claim it is from another STEEL meteorite that fell, conveniently, in 1500's BC. The Akha Naton/Nanta Lung forged that sword...and that long "gown" is the protective leathers of someone casting a very hot molten metal...in fact, the Chinese statue is shown pouring with his very large hands. "Yuya's mummy has very large hands..."Longamanus" of the Greeks. This is Kujula Kadphises...the guy getting "spiked" on the Narmer Palette, allegedly of 3000 BC. However, the dead and beheaded comrades of Kujula are shown wearing SUITS OF ARMOR and the images of WEAVING SPINDLES OF S.E. Asia give it all away. That cannot be from 3000 BC. Those are soldiers of Cyrus the Great...exact same armor and faces. Faked stories to unravel...Bibhu...faked. The Akha are also famed blacksmiths/weavers of blue cloth. The "Acheans?" Why did Hollywood storytellers depict "Achilles" wearing blue clothes in "Troy?" He is the Akha Illi. And although not well-known, the last "pre-dynastic king" of "Egypt" did not die until 70 years before the third king of the FIFTH DYNASTY of Egypt. ("Abydos" by David O'Connor, professor and Egyptologist). The Ku Jula...The Catfish King/Kadphises...that called himself "Vishnu the blacksmith." Forging "celestial weapon"/meteorite for "Shu." 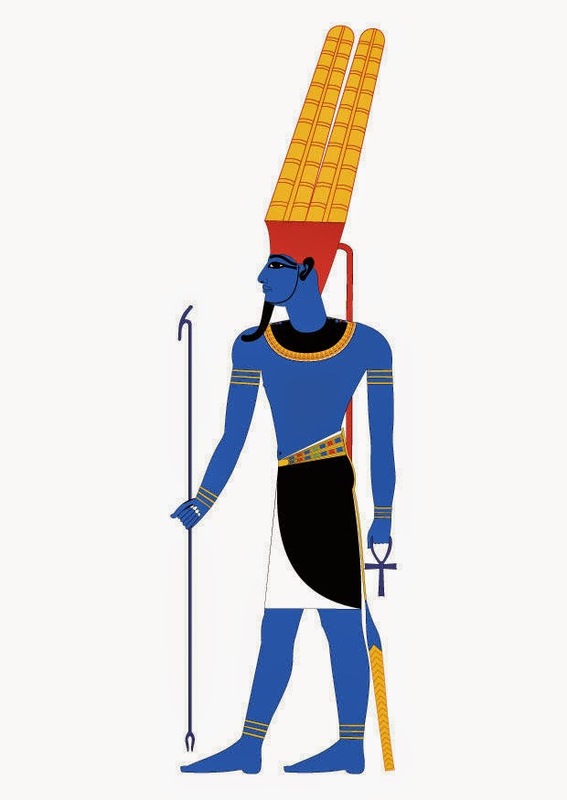 The "God of the Wind"...the assistant working the BELLOWS of the "Agni" temples...all the way to Caral (Kerala), Peru...where archaeologists claim indigo was first used in 6000 BC...and then Egypt in 4500 BC. At Caral is a red & white stripped "Agni temple"...a forge. Yuya is YUYU/Yayati, the "Emperor of Puru." He is the Akha Nantan/Naton. This is the character, "Yuya" that is described in "CM 48" (Sumeria/Kalam) of "destroying and altering the sacred ancient wisdoms and creating fake icons, with malice in his heart" where the priest relating it calls him "the wicked teacher Lu." Lu is blind. I believe he is the person called "Bagoas" that invaded Egypt in the late 300's BC and stole the temple records, altered them, then sold them back to the priests. Bagoas also is claimed to have poisoned the entire royal Persian family ruling Egypt, and was allegedly "the lover of Alexander the Great." However...Bagoas is the name of several Indonesia kings...and a Hilltribe of Indonesia is called the YaWi." Bagoas is depicted with red hair, and a freakishly long neck. However, we know there is an ancient document of a treaty signed between "Alu Sandu", a prince of Willusa, and the Hittites. Most curious thing: the national park where the rock drawings depict the same person on the statue found in China in 2013? Hollywood Storytellers used it to shoot the movie "Alexander" in 2004...coincidence? I found a temple with a huge ship next to it, an elaborate golden ship, with a one-eyed Buddha sitting on the throne inside it...about one hour from the national park and the Mun/Moon River. Less than a mile away was another temple, with a red-headed fair skinned rider on horseback. "Moon River, wider than a mile, I'll be crossing you in style (Golden boat), someday (invading it), and we'll follow the same, rainbow's end, my Huckleberry (red-headed) friend...Moon river and Me...."
Yes, it is creepy, isn't it? Keep up the great work Bibhu. You teach more in one article than most students learn in 4 years of University "history" classes. Meanwhile, you can be sure "Yuya/Akhenaton" once lived with the Hilltribes of Burma, where the settlement of the Kshetrya has been FOUND and archaeologically proven. I suspect he lived in this region after being spiked...to seek out the opium fields to dull his torment...did you know "Akhenaton" was said to have had opium fields in this region? Yes, it is well-established. I have found a statue, which I have on file, of of a white-skinned young man with blond hair, wearing a monk's robe...with a spike in his eye...I suspect he was called MAYA. Illu of Sais-On....Illusion. He was head priest of Lower Egypt in 1400 BC, according to a statue of him at Berlin's Egyptische museum (more photos I have)...he was the one that embalmed the dead royals. Meaning...he is the one that tried to keep a man, a non-royal, from "drinking the elixir of immortality"/being embalmed, and getting his EYE SPIKED when he blocked the neck of the bottle and had a straw jammed in it...a "Hindu" tale, isn't it??? The Precept of the Demons..."Hiran"/ YELLOW-HAIRED...like Yuya's mummy. Thanks for sharing your interesting thoughts Farang...it will take me a while to absorb the information and respond...please hold on till then. Great to know that you liked the article.